Mr. Graves has served as Managing Director and Partner of Erwin, Graves & Associates, LP, a management consulting firm located in Dallas, Texas, since January 2001. Mr. Graves also served as Executive Vice President of Financial Strategy for DeviceFidelity Inc., a financial services technology company, from March 2008 through September 2012. 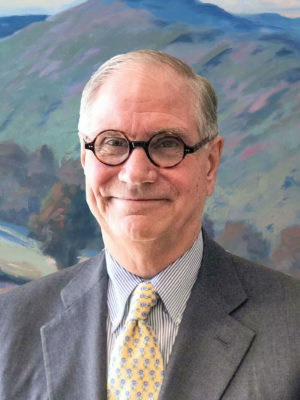 Mr. Graves served as a director, Vice Chairman of the Board of Directors and Chief Operating Officer of Detwiler, Mitchell & Co., a Boston-based securities research firm, from June 2002 until June 2006. Prior to that, Mr. Graves held various positions, including Chief Operating Officer, with J.C. Bradford & Company, a Nashville-based securities firm. He also worked for Dean Witter Reynolds, Inc. as the head of the energy group and later as head of the industry investment banking groups in New York. Mr. Graves served as a director of Tristate Capital Holdings from 2011 to 2015. Mr. Graves currently serves as a director at Hallmark Financial Services, Inc. where he has served since 1995 and First Cash, Inc. where he has served as a director since 1996. Mr. Graves also serves as a director of various privately-held companies, including BankCap Partners LP (a founding investor in the Company) and a healthcare technology company. The Company’s Board believes that Mr. Graves’ significant experience in the financial services sector, as well as his experience with financial reporting and accounting, qualify him to serve on the Board.